Last fall, a Lyme Timber executive proposed to environmentalists establishing an Adirondack forum where they, timber companies and landowners would try to establish common goals and practices for both environmentally sustainable and economically viable forestry. Two months later, state legislation was reintroduced, at the behest of the conservation advocates, to require Adirondack Park Agency permits for any logging clearcuts of five acres or more. The current permit threshold is 25 acres. The Empire State Forest Products Association, which represents landowners, loggers and other businesses, has opposed the legislation before, saying it could prompt some to ignore the rule and cut timber without bothering to seek a permit. Meanwhile, the Cuomo administration dropped from its 2019 legislative plans one proposal that all sides did support, which would have authorized tax cuts for owners of 25-acre parcels who protect their forests. The existing program gives breaks to owners of 50 acres or more. 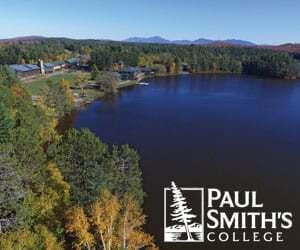 “Your concept—what we might call the Adirondack Sustainable Forestry Forum or whatever it ends up being called—could be an excellent venue for including regional and other colleges and universities, researchers and students to take a direct role in the visioning for ecologically sustainable forestry in the Adirondack Park,” Plumley wrote to Ross. Lyme, the New Hampshire-based timber investment management organization, or TIMO, has some 240,000 acres of Adirondack forestlands subject to state conservation easements, which require sustainable forestry, or harvesting no more than its forests regenerate, certified by an outside forestry organization. Lyme has received all but a few of the APA’s 24 clearcut permits issued under current regulations, including a December permit to log 643 acres, mostly a shelterwood cut of older trees, on its 4,598-acre forested parcel in Tupper Lake. It would include clearcutting more than 25 acres. 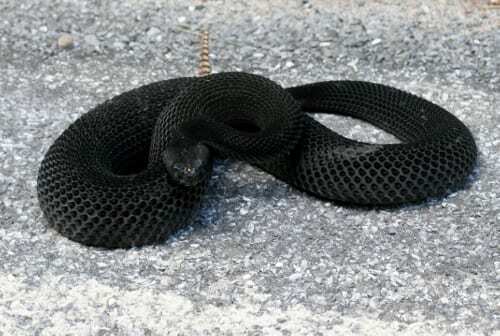 Ross said his company has complied with the regulations, evidenced by all its permits, while others may have simply continued logging as they always have. 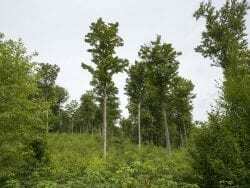 He proposed three or four years ago an exception for tracts where tree “regeneration is assured by stand conditions” with well-distributed growing stock of at least 450 stems of at least three-foot conifers or five-foot hardwoods. That would be considered overstory removal instead, and not a clearcut. 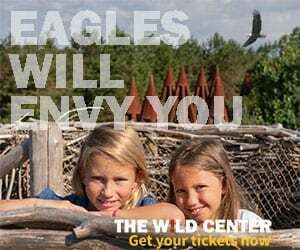 “At this point we have developed a workable process to obtain permits to allow us to conduct what we feel is the best forest management for the site so it’s not as pressing for us,” Ross said. Lyme’s Adirondack forestland is among some 780,000 privately owned acres covered by state conservation agreements that also prohibit commercial development and allow some public recreation. In 2017, the state paid $4.7 million of the taxes on easement lands in the 12 counties that are at least partially inside the Adirondack Park, according to the Department of Tax and Finance. The Adirondack Council told the APA it had no objections to the specific forestry treatments proposed in Lyme’s latest permit application, but the conservation group said each clearcut permit needs to be considered within the larger context of the cumulative impacts on ecosystems, viewsheds and watersheds in the Adirondacks and provide more information publicly about each permit request. “This analysis should encourage private incentives that will foster more robust sustainable forestry practices at all scales of forestry in the Park and inform the development of an Adirondack specific model for sustainable forestry that includes our region’s unique soil conditions, growth rates and species composition, among other factors,” Council conservation director Rocci Aguirre wrote. The council has urged the APA to work with the Department of Environmental Conservation to provide safeguards against overcutting, update its definition of clear cutting and reconsider its policy allowing clear cuts of less than 25 acres within the park without a permit. 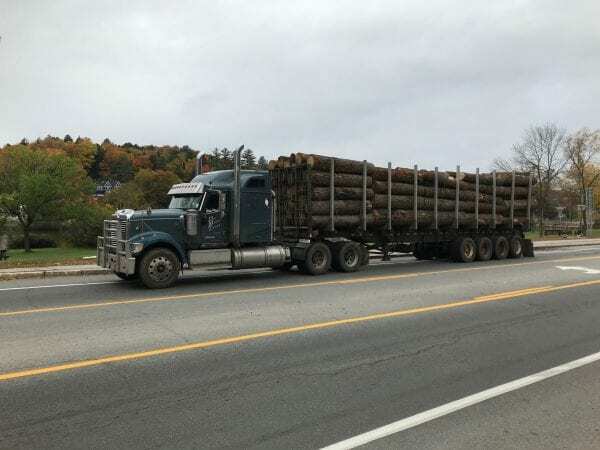 The council and other environmental groups have questioned whether there has been increased clearcutting in the Adirondacks, citing some deforested stands seen on plane flights, including one in St. Lawrence County’s Hopkinton. According to the APA, the 24 clearcut permits represent about 6,500 acres or less than one percent of some 780,000 acres governed by easements.